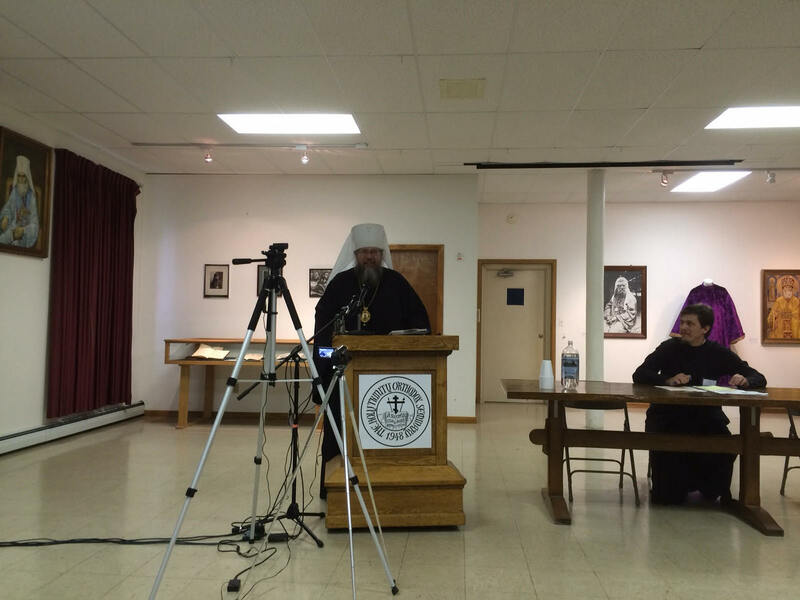 With the blessing of Bishop Peter of Cleveland, President of the Pastoral School of the Diocese of Chicago & Mid-America (PSDCMA), three faculty of PSDCMA participated in the Symposium: “Saint Tikhon, Patriarch of Moscow (1865-1925) – His Life and Times” at Holy Trinity Seminary in Jordanville, NY October 9-10, 2015. 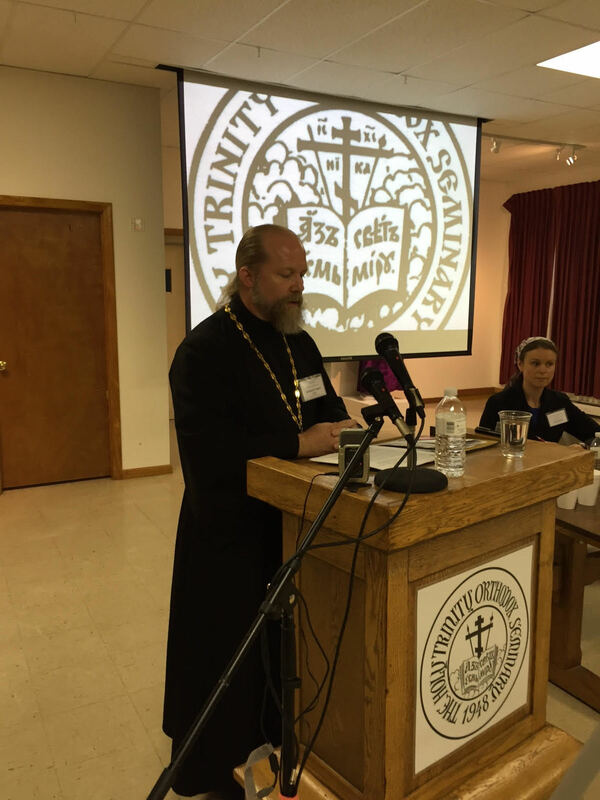 Metropolitan Jonah, Instructor in Dogmatic Theology at PSDCMA, presented a paper entitled “The Legacy of St. Tikhon as Missionary in America”. 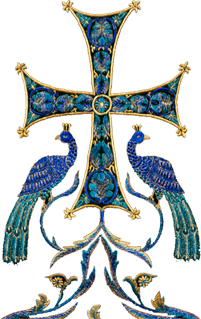 Archpriest Gregory Joyce, Dean of PSDCMA and Instructor in Pastoral Theology, presented a paper entitled “The Contemporary Veneration of Hieromartyr Tikhon (Belavin) in Russia and Abroad”. Deacon Andrei Psarev, Instructor in Byzantine History and History and Principles of the Orthodox Church at PSDCMA, presented a paper entitled "They Have Neither Laymen Nor Money": Overview of the Correspondence Between Archbishop Tikhon (Bellavin) and Archpriest Evgenii Smirnov, 1907-1911. All papers were well received by those gathered to participate in the symposium. As Fr. Gregory noted: “We are thankful to have the opportunity to participate in this symposium and we look forward to, and actively seek opportunities for future cooperation with Holy Trinity Seminary and other higher education theological institutions for the benefit of both our students and faculty”.